Archbishop Edwin F. O’Brien, Archbishop of Baltimore, and Bishop David A. Zubik, Bishop of Pittsburgh, have placed a friendly “wager” on Saturday’s Baltimore Ravens-Pittsburgh Steelers game. The wager requires the losing (Arch) Bishop to make a donation to the Catholic charity of the winning (Arch) Bishop’s choice. 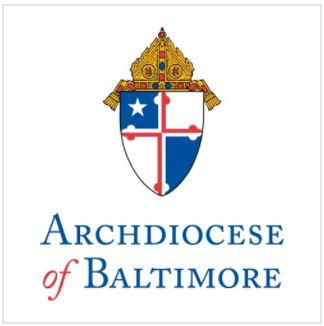 Archbishop O’Brien has designated Catholic Charities’ Our Daily Bread hot meal program in Baltimore to receive the Diocese of Pittsburgh’s donation, should the Ravens win. “I am looking forward to delivering Bishop Zupik’s check to Our Daily Bread after the Ravens beat the Steelers Saturday and move on to the AFC Championship Game,” Archbishop O’Brien said. “I have great faith that Coach Harbaugh, a product of Catholic schools, will have his team well-prepared for the game and the Ravens will move one step closer to the Super Bowl! Our Daily Bread’s hot meal program serves more than 250,000 meals to the hungry of Baltimore City each year and is located on Fallsway in Baltimore.